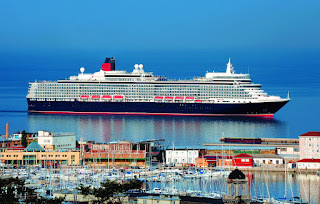 SAILING on Cunard's magnificent Queen Elizabeth is a life ambition for many people so imagine how good it would be to spend 14 days sailing around the Baltic on her and then joining sister ship Queen Mary 2 for a seven day voyage to New York. Australia's leading on-line cruise operator ecruising.travel has put together a unique 28-night package on the two ships, including return air fares from Sydney, Melbourne and Brisbane and two nights' accommodation in London, and three nights in both New York and Las Vegas for just $9379. The first cruise departs on July 13. Queen Elizabeth does a 14-night roundtrip from Southampton which visits Hamburg, Copenhagen, Stockholm, Tallinn, St Petersburg, Kiel and Bruges whilst the Queen Mary voyage is a point-to-point sailing from Southampton to New York, perfect to experience the quality Cunard service and the ships renowned facilities. The price also includes airport transfers, all taxes and port charges, plus all meals and entertainment on both ships.